The Counselling Procedure of MHT CET 2019 for engineering will be conducted through Centralized Admission Process by Directorate of Technical Education (DTE) Maharashtra State and is expected to be held in June 2019. The MHT CET qualified candidates are required to submit online application form of CAP for admission into B. Tech courses in the affiliated colleges of MHT CET 2019. The Selection procedure of MHT CET 2019 and Seat Allotment process will start as soon as the merit list gets released. • MHT CET stands for Maharashtra Health and Technical Common Entrance Test. • And it is conducted by the Directorate of Technical Education (DTE) Maharashtra state. • MHT CET is a state level test organized to provide admissions to eligible students to various engineering courses offered by the colleges in Maharashtra. • The MHT CET 2019 will be conducted in the month of May 2019. • The MHT CET 2019 exam will be pen and paper based examination. The Counselling procedure of MHT CET 2019 will be scheduled in the month of June 2019 onwards after the declaration of the MHT CET Result. All those aspirants who successfully qualify the MHT CET Exam are eligible to appear in the Counselling Process. The Counselling Process will go through Online Web Counselling Only. During Counselling Procedure, the aspirants have to go through the following stages till the final allotment of the seats. • Aspirants, who have appeared in MHT CET entrance test, firstly have to register themselves online. • For that, they have to visit the official website of MHT CET 2019. • Then the aspirants will find a link for Counselling Procedure of MHT CET 2019 registration. Click on that link to go further. • Thereafter aspirants are required to enter the detail such as name, application number, roll no, date of birth and Password. • Then the candidates have to pay the counselling fee through online net banking. • After successful online registration, aspirants are required to verify all their documents at application form receipt center (ARC). • The list of these ARC centers will be available on official website of MHT CET. • After verifying their documents at ARC centers as per MHT CET 2019 Counselling Procedure, the aspirants have to first Login their account where they have to fill the colleges and branch of their choice. • The aspirants should make their choice cautiously because once choice made by them get locked it will not be changed. • As per MHT CET 2019 Counselling Procedure, the Seat allocation for aspirants will be done, on the basis of rank of aspirants, vacancies and choices filled by the aspirants. • In order to check their seat allocation result, aspirants have to login into their account. • If aspirants get selected in any college which is selected by them then that college officials will issue a provisional admission letter to them which they have to download from official website. • The aspirants have to report to the college or institute allotted to them with all the necessary documents along with seat allotment letter. • If the candidates fail to do so then this will result in the cancellation of their seat. After completion of the online Counselling Procedure, the college will provide them a confirmation letter. 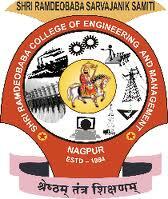 Sri Ramdeobaba KN Engg College Nagpur is located in Nagpur in Maharashtra. Shri Ramdeobaba College of Engineering and Management establish a strong foundation in technical education. Laxminarayan Institute of Technology (LIT) is a premier government aided institute of higher education in the field of chemical engineering and technology in Nagpur. Yeshwanthrao Chavan College of Engineering (YCCE) is committed in providing quality/relevant education and to enhance its practices by applying best national and international practices. Anjuman College of Engineering and Technology (ACET) was established in the year 1999 by one of the oldest education society of 114 years of Central India in the “0” mile vicinity of Nagpur city. Kavikulguru Institute of Technology and Science (KITS) is technical institute located in the second capital of Maharashtra i.